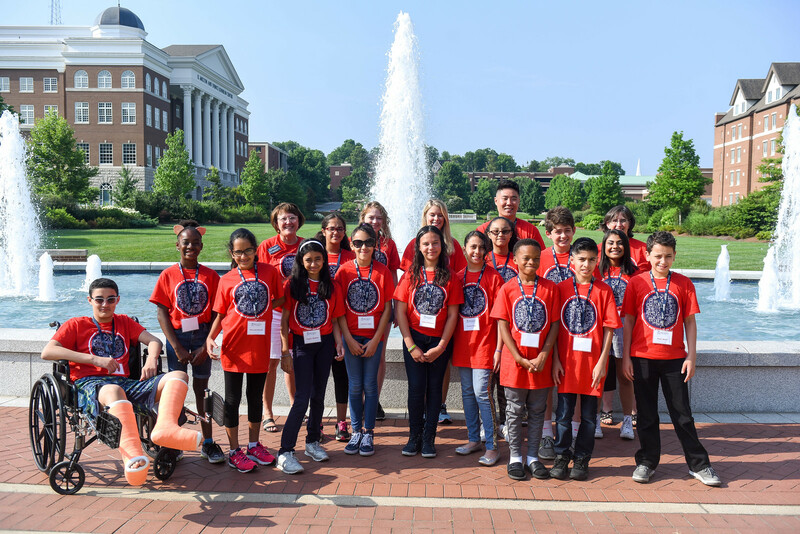 Health Sciences Academy camp at Belmont University in Nashville, Tennessee, June 15, 2018. Belmont College of Health Sciences and Nursing and College of Pharmacy recently hosted a Health Academy Summer camp, a week-long experience for middle schoolers that provided exposure to a wide variety of health professions and hands-on experience with a variety of health skills. The campers learned about EMT, Respiratory therapy, nursing, physical therapy, occupational therapy, pharmacy, speech–language pathology and many other health professions. They learned to take vital signs, complete CPR, work with “patients” in the nursing simulation labs, formulate troche and extract DNA from strawberries in the Pharmacy labs and work on their mobility skills in the physical and occupational therapy labs. The highlight of the week was the visit from Layla, the rehab Labrador Retriever who helped students learn about pet therapy, service animals and emotional support animals. Exposure to this wide variety of health professions helps to generate enthusiasm in middle schoolers for the sciences and possible to pursue careers in health professions.